Composer, lyricist, and librettist Michael John LaChiusa (b. 24 July 1962) is one of the most prolific writers for the American musical stage active over the last two decades. Best known among his many complex, challenging shows are Hello Again (1994), Marie Christine (1999), The Wild Party (2000), and See What I Wanna See (2005). He was nominated for Tony Awards® for his score and book for Marie Christine, and for his books for The Wild Party and Chronicle of a Death Foretold (shared with Graciela Daniele and Jim Lewis, 1995). The cast album for The Wild Party also brought him a nomination for a Grammy®. LaChiusa, the oldest of three boys in an Italian Catholic family, grew up in Chautauqua, New York. Michael John taught himself to play the piano at seven, and although he had next to no formal training, was encouraged by his mother to pursue a career in music. His influences were eclectic, including “moderns” like John Adams, Philip Glass, and John Corigliano as well as composers for musical theatre like George Gershwin, Richard Rodgers, and Stephen Sondheim. Graduating early from high school, he enrolled in a course for television journalism, but dropped out after the first semester. After a gig as music director for a show in Boston, LaChiusa moved to New York City in 1980, working as an accompanist and songwriter in cabarets and small theatres: The Club at La MaMa, the WPA Theater, and Perry Street Theater. He joined the BMI Lehman Engel Musical Theater Workshop where he grew more confident in his own serious work, and in 1989 he was the first recipient of the Stephen Sondheim Award. In 1993, producer George C. Wolfe of New York’s Public Theater presented LaChiusa’s first major stage work, the First Lady Suite. This “chamber musical” in four unrelated episodes featured Alice Playten as Lady Bird Johnson and Mamie Eisenhower, Debra Stricklin as Margaret Truman, Carolann Page as Eleanor Roosevelt, Maureen Moore as Amelia Earhart and Jacqueline Bouvier Kennedy, and David Wasson as Bess Truman. LaChiusa received a Special Citation for the production from the Off-Broadway Theater Awards. The Transport Group Theatre Company revived the musical in 2004, earning two Drama Desk nominations. 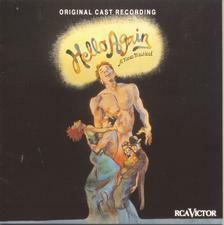 A year later, Lincoln Center produced his musical Hello Again (1994) at the Mitzi E. Newhouse Theater. A series of ten scenes of interconnected sexual encounters, based on Arthur Schnitzler’s 1897 play La Ronde, it was nominated for eight Drama Desk Awards, including Best Musical, three for LaChiusa (Outstanding Book of a Musical, Outstanding Music, and Outstanding Lyrics), and two for director and choreographer Graciela Daniele. Hello Again was but the beginning of a long association with Daniele, which still continues. In 1995 LaChiusa wrote additional book material for her musical adaptation (with Jim Lewis) of Gabriel García Márquez’s 1981 novella Chronicle of a Death Foretold. This was LaChiusa’s first work for Broadway, and it brought all three writers a Tony Award® nomination for Best Book of a Musical. After these signal successes, LaChiusa’s next project at the Public Theatre, The Petrified Prince (1994), for which he wrote both music and lyrics (the book was by Edward Gallardo; Hal Prince directed), was a flop and a discouragement. In 1997 he supplied music for a play, Broken Sleep, by Pulitzer Prize-winner Donald Margulies, presented in Williamstown, Massachusetts, but the play was not well received. It is Michael John LaChiusa’s habit to be working on many projects at once: thus it happened that two of his large-scale musicals, Marie Christine (1999) and The Wild Party (2000) were mounted on Broadway almost simultaneously. Both received Tony® nominations for Best Score and Best Book in 2000. Marie Christine, a grim and demanding retelling of the Medea legend set in nineteenth-century Louisiana, starred Audra McDonald and closed after only 42 performances, despite critical praise. 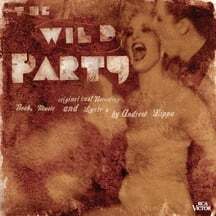 The Wild Party was inspired by a 1928 poem by Joseph Moncure March describing an all-nighter full of drinking, mate-swapping, and violence. Starring Toni Collette, Mandy Patinkin, and Eartha Kitt, it received seven Tony® nominations but failed to surpass 68 performances. Coincidentally and unfortunately, another musical with the same title, based on the same poem, but by Andrew Lippa and quite unrelated to LaChiusa’s, had opened at the Manhattan Theatre Club two months earlier. Audiences and critics were confused and both productions suffered. In 2003 LaChiusa took another path with a light one-act musical, Little Fish, based on two short stories by Deborah Eisenberg, produced off-Broadway. The new path turned out to be another dead end. He somewhat injudiciously vented his spleen in an article in Opera News (August 2005) titled “The Great Gray Way,” bemoaning the successful “faux-musicals” then on Broadway (Rent, The Producers, Hairspray): “Instead of choreography, there is dancing. Instead of crafted songwriting, there is tune-positioning. Faux-musicals are mechanical; they have to be … there can be no room for risk, derring-do, or innovation.” However accurate his judgments may have been, the general response to his article was shock and outrage. While the controversy was still bubbling, LaChiusa’s Rashomon-like show See What I Wanna See, based on the stories “In a Grove,” “The Dragon,” and “Kesa and Morito” by Ryūnosuke Akutagawa, had a successful off-Broadway run at the Public Theater. LaChiusa was nominated for Drama Desk Awards for Outstanding Music and Outstanding Lyrics. More recently, Michael John LaChiusa’s larger-scaled works, Bernarda Alba (2006), based on the play The House of Bernarda Alba by Federico García Lorca, and Queen of the Mist (2011), an original opera about Annie Edson Taylor, the first woman to survive going over Niagara Falls in a barrel, have been produced off-Broadway. He has also done some important work with the support of Signature Theatre of Arlington, Virginia: in 2004 he wrote the music and lyrics to The Highest Yellow, with book by John Strand, in which Marc Kudisch starred as Vincent Van Gogh. In 2009 the Signature commissioned and premiered Giant, a musical adaptation of Edna Ferber’s 1952 novel, with music and lyrics by LaChiusa and book by Sybille Pearson. A production of Giant opens the 2012–2013 season at New York’s Public Theatre in October. LaChiusa has also served as Composer-in-Residence at the Chicago Lyric Opera (Lovers and Friends (Chautauqua Variations) 2001) and at the Houston Grand Opera (Send (who are you? I love you) 2006 with Audra McDonald). He wrote music for fifteeen episodes of the children’s animated series The Wonder Pets on television, for which he received two Emmy Awards. The prolific LaChiusa has written many other librettos, songs, song cycles, operas, and theatrical music, and much more is in the works. 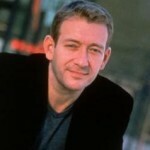 Thirty-nine of his songs, most from his successful shows, can be found in The Michael John LaChiusa Songbook, published in February 2011. The Mark Taper Forum at the Music Center in downtown Los Angeles presents LaChiusa’s newest and perhaps most unconventional musical to date, Los Otros, in May and June of 2012. It consists of two solo song cycles, one in the persona of a young Mexican-American man growing up in Carlsbad, the other in the character of a Caucasian San Diego woman reminiscing about her encounters with the Mexican community. It stars Julio Monge and Tony Award® winner Michele Pawk. Book and lyrics are by Ellen Fitzhugh and Graciela Daniele directs.